At Oregon Reproductive Medicine, the majority of our IVF patients choose to undergo comprehensive chromosome screening (CCS) on their embryos as part of their IVF cycle. While most embryos result as normal or abnormal, recent technological advances have created a third category of “gray” CCS results, referred to as mosaic. 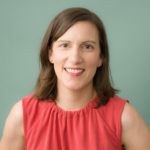 ORM Genomics Director, Emily Mounts, co-authored a peer-reviewed paper on this challenging topic, which was published in Reproductive BioMedicine Online. Read the full paper, Counselling considerations for chromosomal mosaicism detected by preimplantation genetic screening, on Reproductive BioMedicine Online’s website here.